The One-Stop Reference for the most popular aircraft ever flown! The Plane & Pilot editors have done a tremendous job providing readers with detailed descriptions and photographs for hundreds of the most popular aircraft from around the world and answers to the questions most commonly asked by pilots. Throughout the well-illustrated pages, you’ll find interesting anecdotes on prominent manufacturers, airplanes, and industry personalities; a comprehensive source for information on aircraft no longer in production, as well as new models of current production aircraft, representing the majority of civilian aircraft in service throughout the world. Aviation enthusiasts and pilots will find this reference tool useful for spot-checking facts about a particular model, identifying unusual aircraft, and recognizing trends in airplane design. 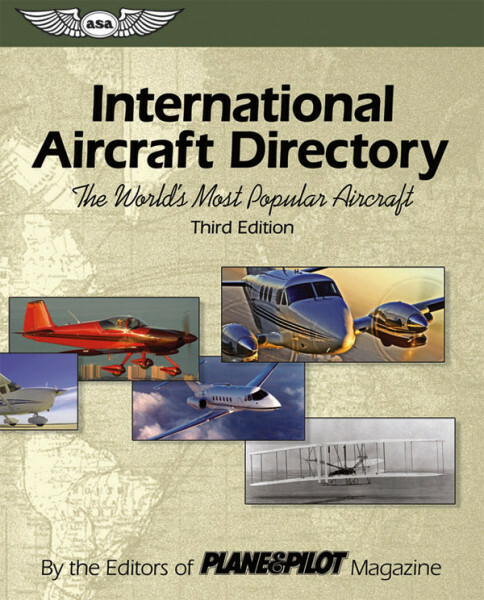 The International Aircraft Directory will acquaint pilots with the past so they can appreciate the present and pay tribute to those planes that have played, and continue to play an important role in our aviation heritage.